When you’re a gladiator and you enter the arena for the first time, and you see all the experienced fighters surrounding you, it’s easy to get intimidated. However, when you have the guidance of an experienced officer telling you where to attack and which weapons to use, you have the advantage. This is, is a nutshell, the essence of hiring an eCommerce agency: having the benefit of a guiding hand, especially in the early, critical stages of building your eCommerce business, when you’re still trying to learn the ropes or while you’re holding on to another business and trying to make the transition while juggling everything at once. This is where the eCommerce agency experience comes in very handy. How much is worth for you to invest, time and moneywise, is up to you, as the eCommerce business owner, to decide: top eCommerce agencies don’t come dirt cheap, but they are worth their penny, provided you pay attention enough so that with time, you can do it yourself. Why hire an eCommerce agency? Because finding the right keyword for your product listing, or the best professional photos to show off your product, can be a big difference maker, it’s a factor to consider in handling these and other tasks to experienced eCommerce agencies. 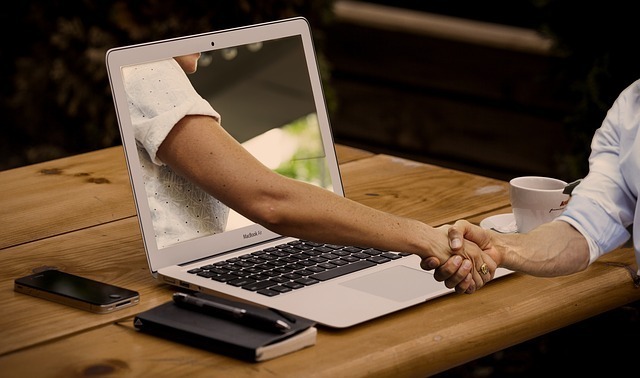 The top eCommerce agencies offer a wealth of services to help eCommerce business navigate through the crucial phases of developing and establishing their businesses. It’s one thing to list your product and decide on a shipping method for Amazon, but another game entirely when it comes to promoting your product on Amazon. Within the Amazon seller world, for example, there is: Amazon account setup, product research, Product Keywords, Content Creation, Content Optimization, Product Listing, Sponsor Ads, enhanced Brand Content, Amazon Marketing Services, Storefront Design and more. These are procedures that in time, sellers may have enough experience and confidence to do on their own, but during that first crucial period, having these tasks done by top eCommerce agencies can be a huge benefit, and it’s a good way to learn how to do it, without wasting time and money on trial-and-error doing it yourself, at least at the start. On eBay, on the other hand, you have product content creation, store design and product listing, which can be handled by the eCommerce agency. What type of eCommerce agency is right for you? The best eCommerce agencies handle every aspect of your eCommerce business, helping you to optimize your potential from your eCommerce, whether it’s on a platform such as Amazon, eBay or Walmart. Do not confuse this with B2B eCommerce agencies, which offer services to help manufacturers, corporations, and wholesales. You can hire an eCommerce agency to do some or all of the work needed to get your selling career off the ground fast. The question is, how much are you willing to invest in it? Founded in 2012, Oneboxhub is an agency that provides SEO services for Amazon, Shopify, eBay, Walmart and similar eCommerce platforms. 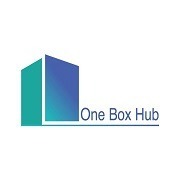 Oneboxhub aims to help sellers achieve their eCommerce goals, helping them with product research, listing, managing & optimizing thousands of products in marketplaces across the globe, in addition to website design and digital marketing strategy development. The company’s mission is to help businesses measure & maximize their online selling potential and drive traffic to increase sales. Estorfactory helps sellers increase their sales. They specialize in channels such as Amazon, eBay, Walmart and others, working to ensure that sellers’ products receive the maximum exposure and highest ROI. estorefactory was chosen by Amazon to be part of its Service Provider Network (SPN). The company’s skills include list optimization, sponsored listing, keyword research, account management and more, allowing businesses to focus on more important tasks, such as product sourcing. The company also specializes in enhanced marketing services for Amazon, which includes enhanced product description, lifestyle images, brand promotion and more. Webfx is one of the veteran eCommerce agencies around, having been founded in 1996. A full-service online marketing eCommerce agency specializing in groundbreaking digital marketing solutions, WebFx has positioned itself as a leader in digital marketing, with a strong emphasis on SEO, web design, eCommerce, website conversion and ROI tracking, in a data-driven, personalized approach. WebFx offers a wide range of services, including everything from content, social to analytics, for businesses. WebFx prides itself on driving traffic, converting visitors, and measuring effectiveness to deliver results for its clients. 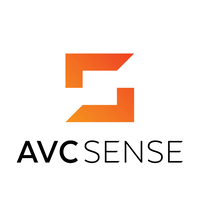 Avcsense is a Seattle-based eCommerce consulting agency whose aim is to increase traffic and drive up sales for business on Amazon. It specializes in account management, marketing and analytics, advanced sales growth strategies, Amazon vendor seller platform management, and owns a proprietary algorithm platform to optimize sellers’ product listings and maximize their ROI on Amazon. Additional services include Amazon PPC optimization, Content & SEO, Buy Box monitoring, price monitoring, review monitoring to help respond and resolve negative reviews, and Amazon marketing services optimization. Named as top digital marketing agency for 2018, Thriveagency creates digital marketing campaigns optimized according to every need and budget. Services include eCommerce web design, eCommerce optimization for online marketing, social media and more. 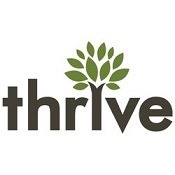 Thrive aims to fully understand the business and what its goals are, before ‘diving in’ to create and execute a detailed strategic marketing and design plan. 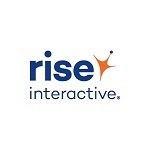 In addition to SEO optimization, PPC and social media, Thrive are experts in reputation management, conversion optimization and email marketing. Verticalrail is an all-inclusive Amazon advertising and marketing agency, certified as a Google Premier Partner and dedicated to creating effective eCommerce and digital marketing strategies. The agency offers a full suite of Amazon seller services, including advertising, store & front optimization, enhanced brand content, and Amazon brand store, in addition to Amazon consultation services, analytics, and Amazon account management. Verticalrail offers a wide variety of tools and options for eCommerce businesses to upgrade their website, finding the right platform, optimization, customized checkup, plugins, hosting assistance and much more. Amazowl was founded in 2014. It is a global Amazon advertising & content agency, focusing on Amazon services for third-party sellers as well as first-party vendors, such as: Amazon SEO, Amazon PPC, enhanced brand content, enhanced brand content, Amazon brand gaiting, traffic & conversion, Buy Box monitoring and Amazon advertising analysis. Amazowl works with some of the world’s leading brands, dedicated to maximizing their presence and sales on Amazon. In addition to Amazon US, Amazowl currently supports Amazon Canada, UK, Germany, France, Spain, Italy, Australia and Amazon Japan. Crowner, founded in 2012, is an agency that focuses exclusively on Amazon product listing optimization. The agency is built from a team of experts, specializing in eCommerce, design, analytics, Amazon AMS, Amazon SEO and more, to create the optimal product listing for sellers, helping them grow on Amazon. The agency provides advanced services such as Amazon customized branded store design, Amazon A+ content creation, Amazon marketing services (PPC management) and more. BTW Consulting was founded in 2015 by former eBay sellers, to fill in a major void that existed at the time: the lack of a proper solution for sellers and businesses to better promote and sell on eBay. Today, this agency provides a host of valuable services for eBay, including: revenue generation, store setup, seller account management; Store, product, pricing and listing analysis, listing services, store SEO and product listing. BTW Consulting can help both professional and novice eBay sellers, providing eBay store analysis and eBay listing optimization, with the goal of increasing the seller’s profits while decreasing his workload. If you’re not yet ready to commit to a fully-fledged eCommerce agency, but are still looking for a powerful, comprehensive analysis for your eCommerce, Algopix may be the perfect solution for you, offering in-depth product research, extensive competitive analysis, sales estimator, research tools for Amazon, eBay and Walmart and more. Algopix gives sellers a detailed analysis of your products, the competition, and marketplaces with selling potential for your product.